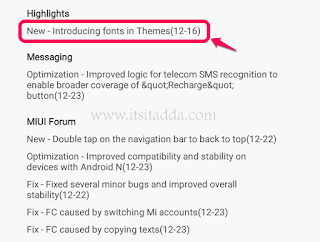 The Prediction of Upcoming MIUI based on beta ROMs - IT ADDA! 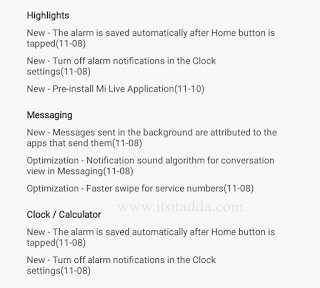 The new MIUI saves the alarm settings when you go back or go to the home screen. This means it can Auto Save the alarm settings. You will get pre-installed MI Live app. Messages sent in the background by any app on MIUI will have the attribution of the app that sends them. It will have faster swiping for the service numbers on the phone-book/contacts list. One-handed mode for Quick Ball will be available. Optimized volume in the situation of ear-phone plugged in. Optimized Lock Screen PIN Layout. Transport Cards and MI Pay in Quick Ball. Swipe to delete the lock screen notifications. 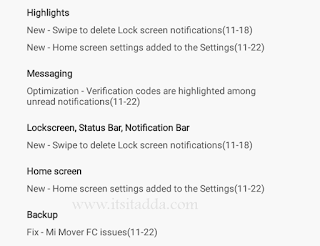 Home Screen Settings – is added to the Settings. Verification Codes will be highlighted among unread notifications of messages. People “Who look-alike” in the gallery. Changed icons for USB Charging and Switching Keyboard. Black and White colors for doodles. 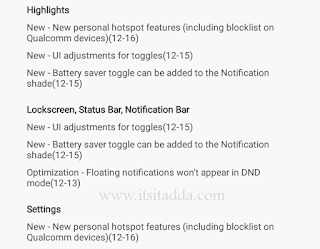 New Personal Hotspot with Block list on Qualcomm Devices. Battery Saver toggle added on the notification shades options. Floating Notification won’t appear in DND mode. 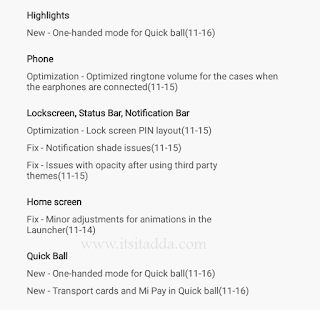 This update of MIUI Developer ROM brought us the most interesting feature back. 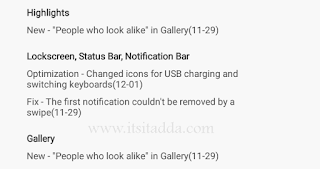 Yes, it’s not new but the most missed feature after it disappeared with MIUI 7 update. 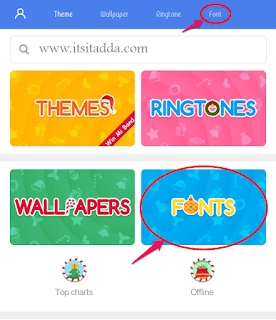 Introducing the Font in Theme Store. So that’s how the new MIUI is going to be. Please like, comment, share this post if you liked it. Also, let me know if there’s any suggestions or feedback in the comment box below. Thank you for reading, Have a nice day! Next story What happens to the existing users of Jio? Will they get the benefit of Jio’s New Year Offer? Previous story How to perform Transactions in UPI Enabled Apps?